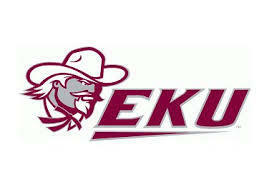 Eastern Kentucky University’s first contest in the Ohio Valley Conference tournament will likely have both teams recalling their previous match just over a month ago. The E-K-U men's team takes on Southeast Missouri State Thursday evening in Nashville. Last month, the Colonels’ Glenn Cosey hit a 40-foot bank shot with time running out to secure a one point Eastern win. E-K-U Coach Jeff Neubauer says team unity is a must this time of year. “You know our team I think is together. You know I think our team has a lot of energy. It’s obviously gonna be an absolute battle for, not just us, but all the teams once we get to Nashville. So, our team is looking forward to those challenges,” said Neubauer. Southeast Missouri State comes into the game fresh off an opening round victory over Eastern Illinois 79 to 61. Redhawks Coach Dickey Nutt says his team is putting it all together at just the right time. “Been really proud of our team, the way that we’ve hung in there, kind of got through some tough times and we’re playing our best basketball and I think offensively we’re kind of hitting a groove, I think we’re scoring the ball pretty good. Defensively, getting just a little bit better and that’s been a sore spot all year,” said Nutt. The Colonel-Redhawk contest in Nashville is slated to tip just after nine o clock Thursday night. In women's action Thursday afternoon, the Lady Colonels defeated Tennessee State 79 t0 75 to move on to play Friday.